For any online business to achieve success, shopping cart development and customization is essential — and so too is guaranteeing secure payments, SSL and HTTPS security. By implementing an intuitive design that emphasizes efficient performance, secure installation of online payment modules, creation of m-commerce apps for extending online business and rock-solid security, you can easily convert casual site visitors into loyal customers. The eCommerce solution you implement depends solely on your business model. Some companies require an online shopping experience that’s simple and fast, while others desire a platform that’s flexible and easily configured. Our expert eCommerce developers understand that every company is different, and will use their talents to design a custom eCommerce solution and/or eCommerce site design that meets your exact needs. Online shopping carts are easy to set up and even easier to customize. There is a slew of modules available for integrating payment systems and payment processors, featuring products, enabling mobile payments — even keeping your warehouse database updated so your inventory is always current. 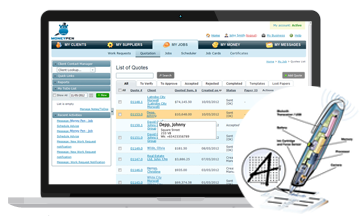 Accounting software and social networks can also be integrated into your online shopping cart, thus establishing a cohesive link between all of your online business components. HireRussians is well-versed in Magento Commerce, PHP, ASP.NET, PayPal, Google Checkout, Amazon, eBay, ZenCart, OSCommerce, OpenCart, Yahoo! Merchant and many other eCommerce platforms. Tap into our knowledge and grow your business! 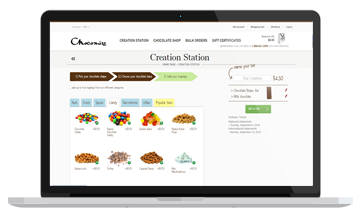 Chocomize is a beautiful and easy to use web application for constructing chocolates from dozens of different ingredients and ordering them online. Implementing the new payment functionality, HireRussians team has integrated PayPal into Joomla-based website. We have also ensured automated change of the shipping fee depending on the geolocation of the user. I noticed that you guys really understand what you are talking about. Other developers said certain tasks would not be possible but you found a solution anyway. That's really great! Great communication about the projects. I always knew what was going on. Thanks! Being a real catch for anyone hosting an event, this web solution allows events’ registration, publishing, promotion, ticketing and managing — all in one place. 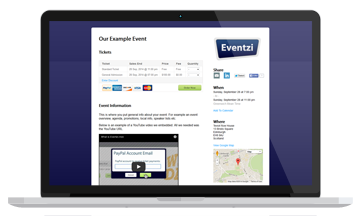 An event registration page could be customized with colors, logos and branded URL. Hosts can create discounts and deliver barcoded tickets. Attendees — buy tickets and share event information in one click on Facebook, Twitter, LinkedIn or via Email. The best web development company I have experienced. Their attention to detail and care for my project has been incredible. They are top professionals and the price is right. I wouldn't bother looking at other providers. HireRussians are a quality team. Simply awesome.